Happy New Year! Now Let's Get to Work! Happy New Year to all our readers and GigMasters members! We hope you've been enjoying the holiday season either by keeping busy with gigs or enjoying quality time with family and friends. We've already told you all about what made 2011 a special year at GigMasters and today we are here to let you know that we have even more in store for 2012. New relationships: We are always working on new ways to get you more gigs. One way we do this is by building new relationships in the entertainment space. We are talking to other web services and major players in the entertainment industry as well as localized event planners and venue managers. More friends for us means more gigs for you! Adding value to memberships: We are already working on new features that will let you do even more with your GigMasters membership. We want to make it easier than ever for you to get leads, converse with clients and, ultimately, book more gigs. Inside the Gig: We also want you to stay tuned right here to Inside the Gig as we promise to have even more great content for you. Expect more guests posts from industry experts and insiders, plus all the latest GigMasters news and tips on how to make the most of your membership. Party Time! : You might remember last year when we threw our first ever Member Appreciation Party. Well we can't make any promises quite yet - but we don't think it will be the last shindig we throw for you. We want to take this show on the road and bring the party to you. Stay tuned for details. And stay tuned for details on all of these plans and much more. 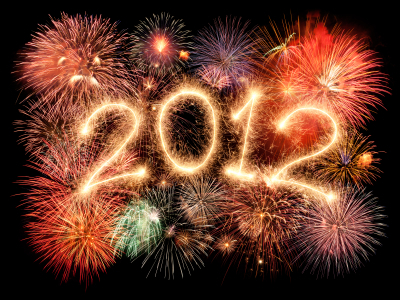 Here's to 2012 being a great year filled with good times and plenty of gigs.